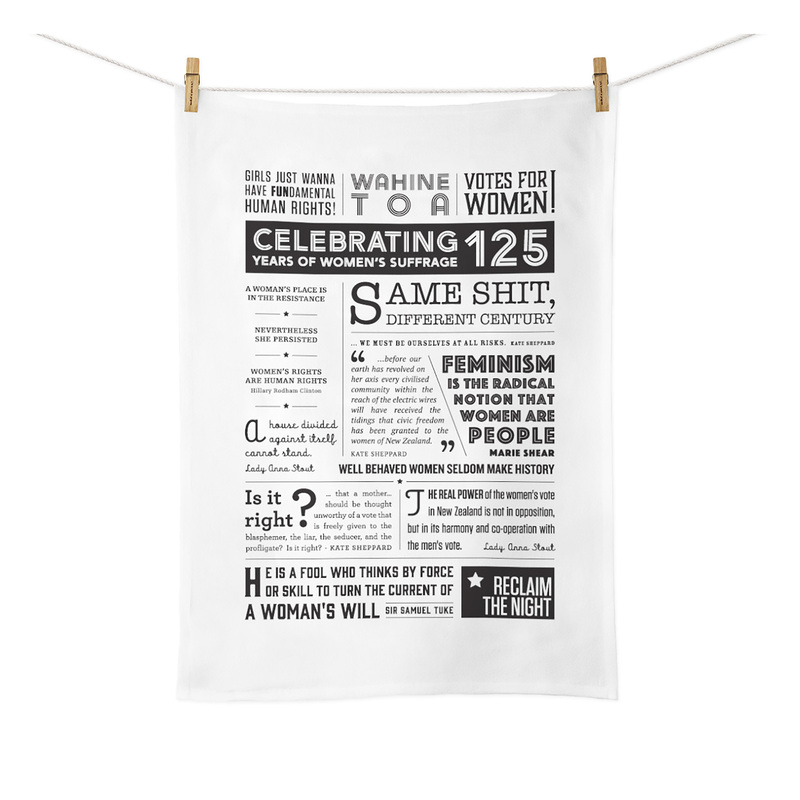 Celebrate 125 years of women’s Suffrage with the special edition Broadsheet Tea Towel. In 1893 New Zealand became the first country in the world to give all women the right to vote. It established New Zealand as a leader in equality, a reputation we continue to be proud of. 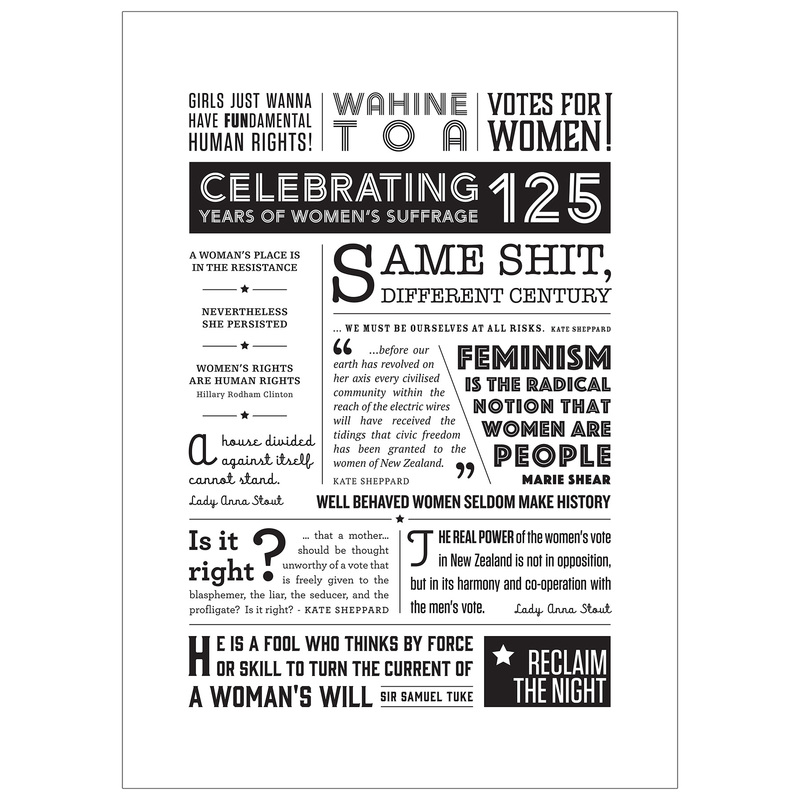 This tea towel features a collection of slogans and quotes from throughout the history of women’s suffrage, both locally and internationally. Lulling the unwary into thinking it is reinforcing gender stereotypes, in reality it makes a bold but practical statement for gender equality. Screen printed on cotton, this tea towel is also 50 x 70 cm making it large enough to cope with the demands of any household.